Show Off Your Louisville Pride! 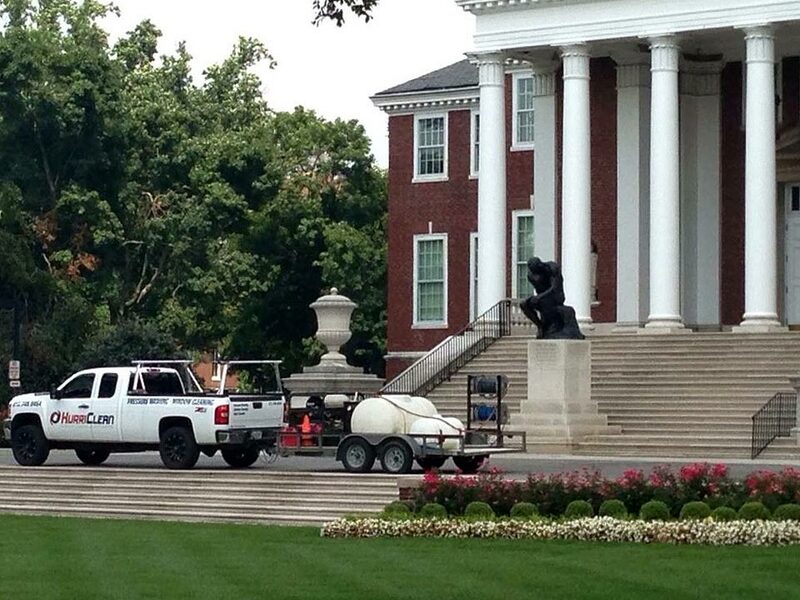 Let us help you do your part to keep Louisville a beautiful city to do business in. 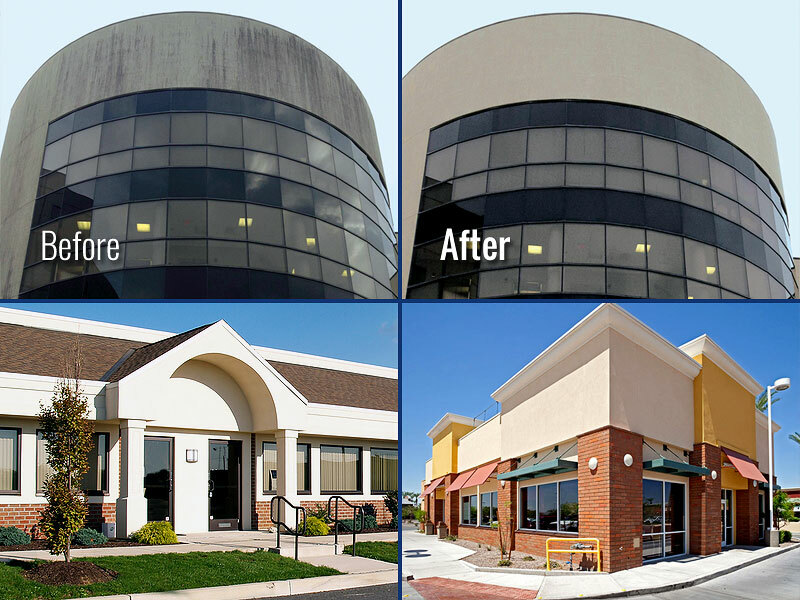 Maintaining the clean appearance of your commercial building or facility is good for everyone! 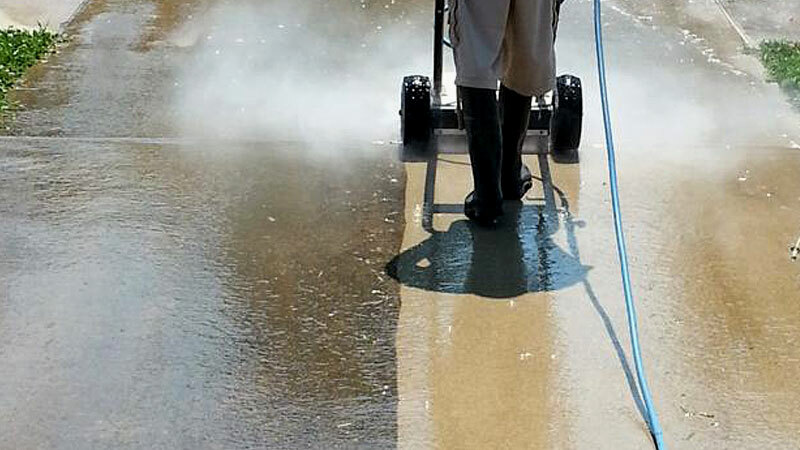 Soft Wash Building Washing safely removes unsightly dirt, grime, mold, and mildew buildup – with no risk of damage to dryvit and stucco which can occur with high pressure cleaning methods. 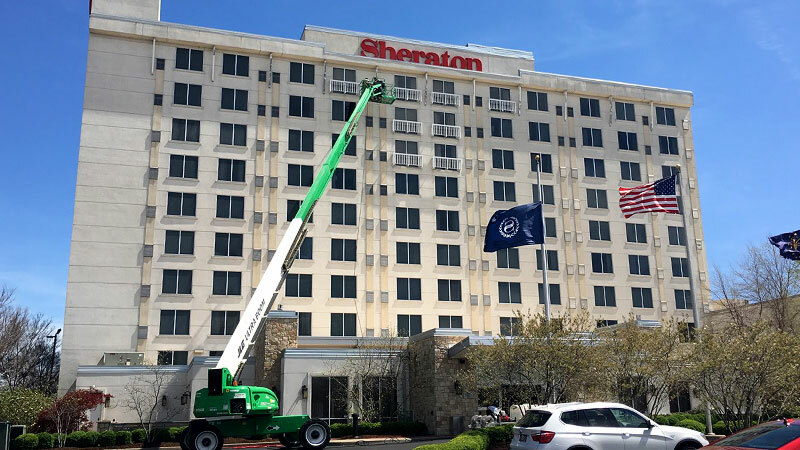 It’s the ideal cleaning method for all types of building facades, including Dryvit, Stucco, Brick, Siding, and Masonry exteriors. 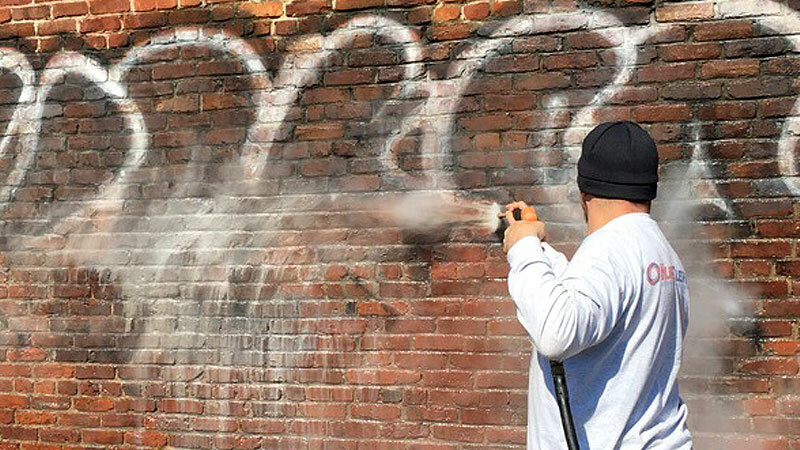 Soft Wash Building Washing is the ideal cleaning method for all types of building facades, including Dryvit, Stucco, Brick, Siding, and Masonry exteriors. 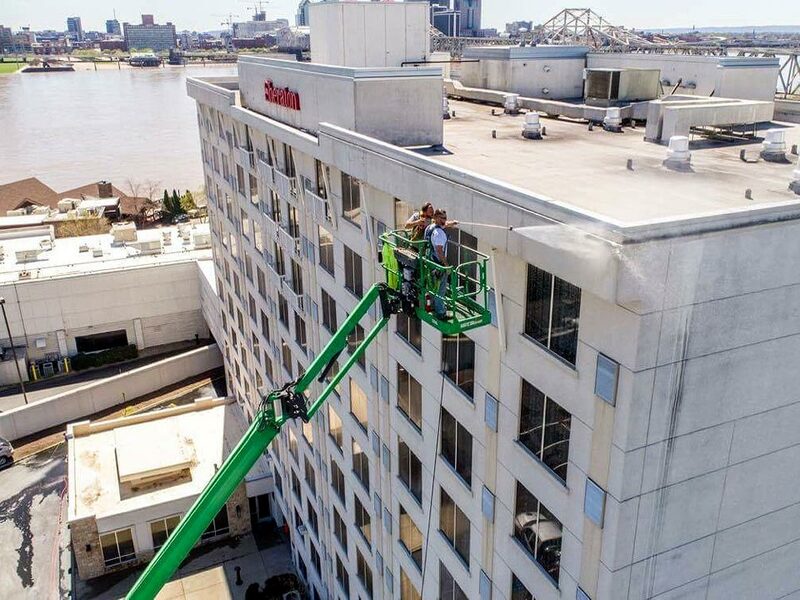 Why is Soft Washing the Best Way to Clean Your Louisville, KY Building? 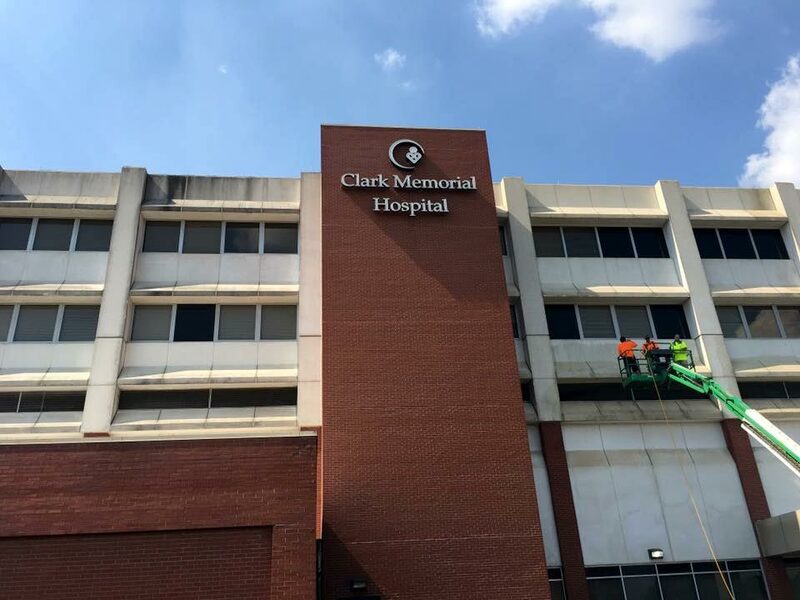 Unlike high pressure power washing, which only uses water to blast the grime off your building’s exterior, our Soft Washing method utilizes specially formulated cleaning agents applied at Low Pressure to eliminate unsightly stains and discolorations at their source. 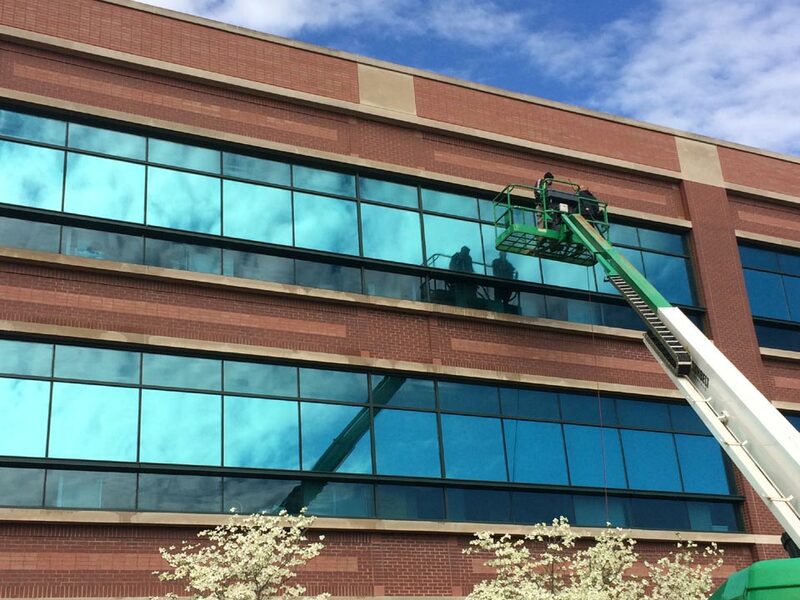 You get a more thorough building washing and a longer-lasting one, too! 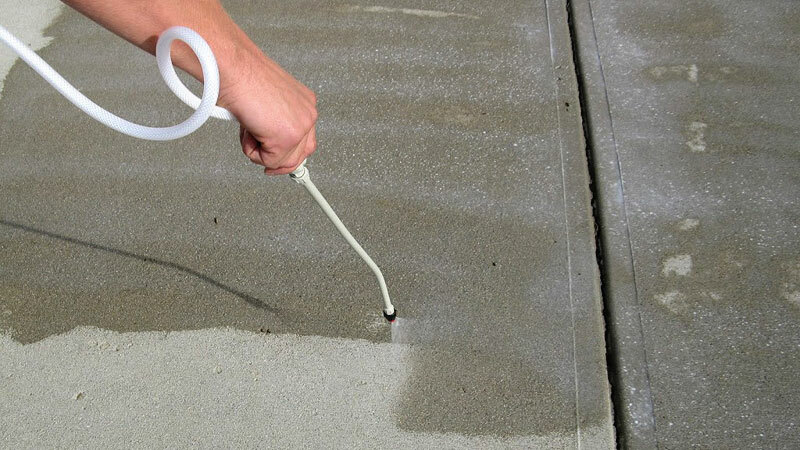 The algae and mold inhibitors in our Soft Washing solution delay the reappearance of unsightly algae, mold, and mildew growth on your building’s exterior. This means you’ll have a cleaner looking building up to four times longer than you would with traditional power washing! And of course, “low pressure” means no risk of dryvit or stucco damage. 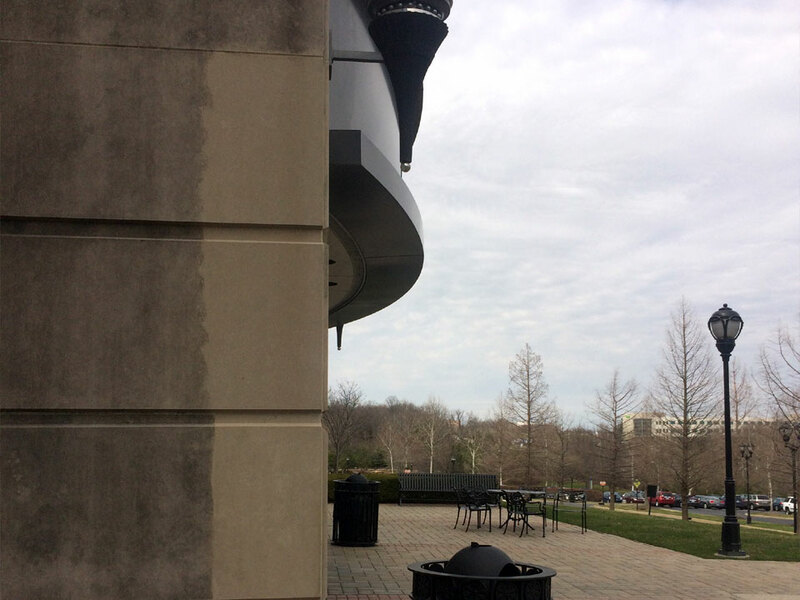 Many Louisville, KY area business owners have found out the hard way that high pressure washing methods and delicate exteriors do not mix! 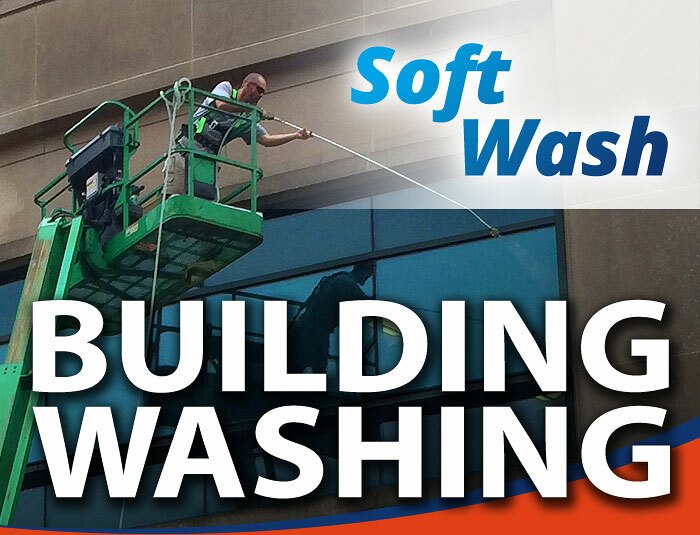 Our Soft Wash Building Washing is 100% safe for all types of building facades and will not damage your property or landscaping. 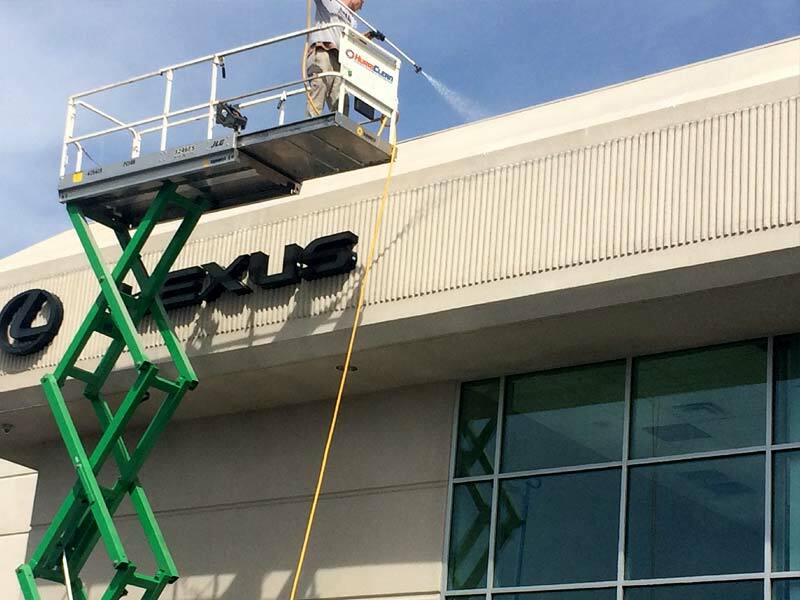 Buildings Large or Small, We Wash Them All! 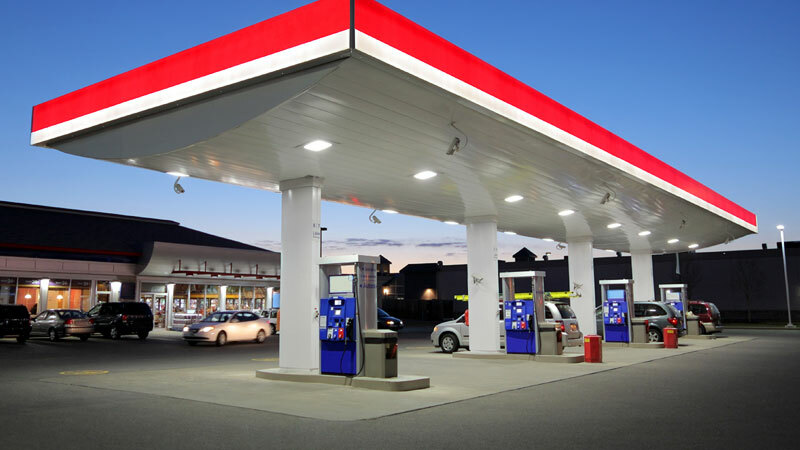 Commercial buildings of many shapes and sizes can benefit from HurriClean’s Building Washing service. 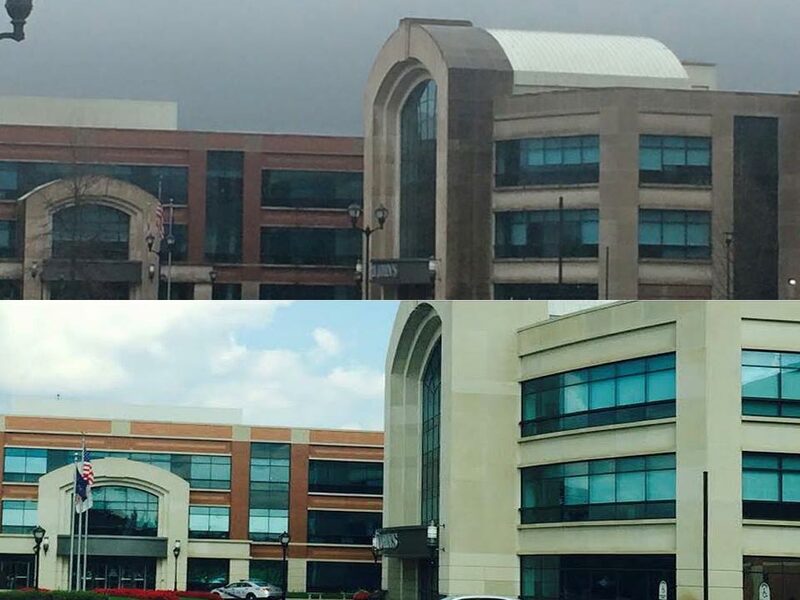 We’ve been keeping Louisville’s low to medium rise buildings looking their best since 2005!